Everyday, we are walking to and fro, from places to places, whether it’s for work, studies or leisure and recreational activities, we will be wearing our comfortable and beautiful shoes, heels, sandals, slippers, something that covers both our feet. Walking with shoes is now a basic necessity in our life here in Singapore, yet, it is a luxury for people who are less well off in other parts of the world, who walk barefoot because they cannot afford basic necessities beyond having a pair of shoes. 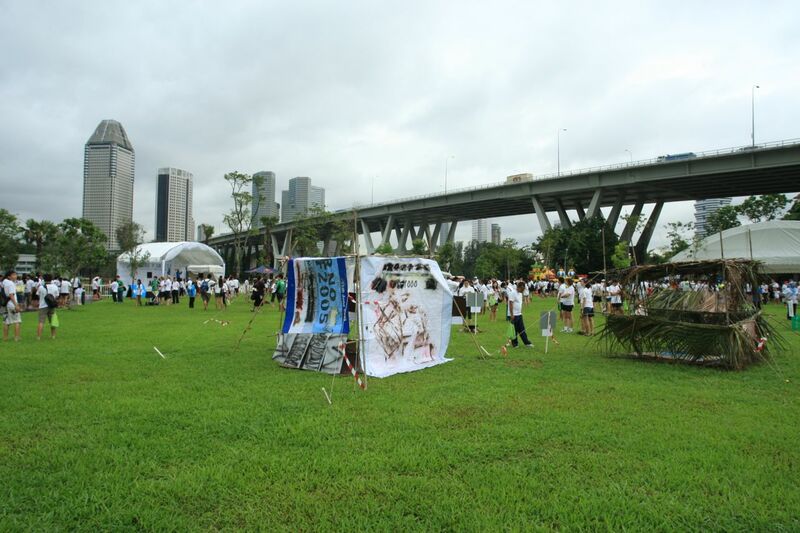 On the 2nd June 2012, Habitat-Barclays Bare Your Sole is a meaningful and noble walking event, walking barefoot for a short distance of 2.5km or 5km in Singapore on a Saturday morning in Singapore, all in the name of charity fund raising and awareness. 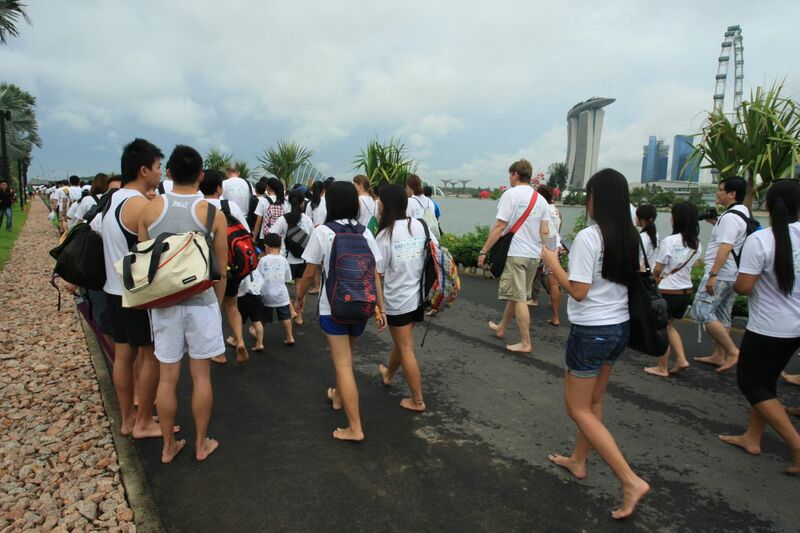 Returning back on 2nd June 2012, to be held at the beautiful Gardens By the Bay East, Tanjong Rhu, spanned by the beautiful and gorgeous Marina Bay Waterfront behind the Gardens, Habitat-Barclays Bare Your Sole 2012 is hoping to attract more than 5,000 pairs of bare feet for Habitat-Barclays Bare Your Sole 2012, from the 4000 pairs of bare feet in 2011, do check out my walking barefoot for charity in 2011 ! It was a great humbling experience last year in 2011 to walk barefoot for a short distance, raising funds for a great and noble cause, remind myself of the blessings and opportunities that we have it here that others do not have. This would be a morning of fun for your family and friends to come together for a morning barefoot walk for a great noble cause. By participating in this barefoot walk, YOU will help to raise funds for local and overseas beneficiaries while this event will also assist in raising awareness for Habitat for Humanity projects that build homes and fight poverty for the less fortunate across the Asia Pacific region. Registration is now OPEN and Normal registration closes at midnight, 26 May, 2012 ! Head over to the Registration page and sign up for a noble heartwarming barefoot walk fund raising event ! Habitat for Humanity International is a non-profit Christian housing organisation with a mission to eliminate poverty housing worldwide by building simple, decent houses. We build for people of all backgrounds, races and religions to provide needy families with a simple and decent place to live in. Barclays is a major global financial services provider engaged in retail banking, credit cards, corporate and investment banking and wealth management with an extensive international presence in Europe, the Americas, Africa and Asia. With over 300 years of history and expertise in banking, Barclays operates in over 50 countries and employs over 140,000 people. Barclays moves, lends, invests and protects money for customers and clients worldwide. For further information about Barclays, please visit our website www.barclays.com.